A very unequal distribution of land. This is a situation that calls for the implementation of agrarian reforms. The claims from social or ethnic groups for recognition of their right to exercise over a territory. The case of indigenous people demanding the recognition of their land tenure rights is a typical situation. But cases also occur of demands bound to historical backgrounds, sometimes including religious or cultural connotations. How to secure the users’ rights ? How to ensure that access to land complies with the interest of the majority of the population ? How to manage territories as well as possible in the general interest ? The Proposal Paper on land policies and agrarian reforms, edited by Michel Merlet, has built stepping stones to encourage the emergence of new forms of governance of land. An achievement of this collective work on land management has been to better identify which aspects do require further development. It is indeed essential to systematize the experiences and to gather materials and necessary documentation in order to help the organizations that fight for the agrarian reform to widen their system of reference and to improve their strategies. Commercial globalization and agro-business development in some developing countries as well as in Eastern Europe have a significant impact on the evolution of the agrarian structures all over the world. Millions of small producers disappear, and land is more and more concentrated. Today, agrarian reform cannot be considered without taking into account the specificities of this new economic and social context. However, feeding the world population and protecting the environment will obviously not be possible without farmers. In order to promote a more egalitarian access to land, it will be necessary to create enabling conditions for the establishment of citizens’ alliances, reaching beyond farmers organizations, that can formulate proposals and contribute to make significant steps forward regarding the demands. Experiences promoting family farming should be highlighted and spread out. For example, during the process of modernisation of family farming, most western countries have carried out land policies aiming to regulate land markets and secure indirect land tenure rights. But very little is known about these experiences. Some countries such as Brazil or China would need to implement this type of policies in order to strengthen their family farming. However, they can hardly benefit and draw lessons from similar situations experienced in other countries in the past, since the information is not available. It is necessary as well to enhance peoples’ knowledge and know-how in the field of local management of use rights in order to elaborate new references and, on this basis, formulate options for a sustainable and fair land management. A summary of the Proposal Paper and a complete and updated version are available here. 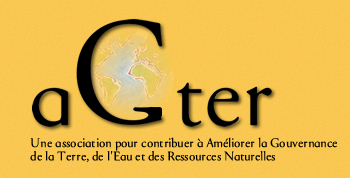 The Proposal paper can be downloaded in complete version or by parts in French. An updated version of Part I is available in Portuguese. Complete spanish and portuguese versions will be soon on line.